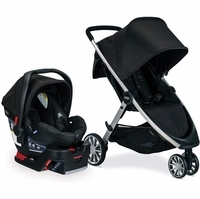 When Britax says they are on the leading edge of innovation, they mean it. Since 1939, they have been researching and testing new technologies, and has partnered with car manufacturers, government bodies, and child passenger safety experts to constantly improve child safety and transportation for all its products. It also specializes in developing car seats and strollers for children with special needs. 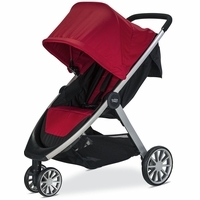 All Britax strollers meet and exceed all safety standards, and you can be assured of a cozy, comfortable ride. And each stroller is designed to meet a unique set of needs for different families. 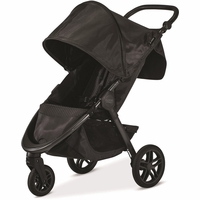 If what you need is lightweight versatility, the Britax B Agile strollers are for you. This is the best-selling and most maneuverable line of strollers, specifically designed to meet the demands of families on the go. This stroller folds with one click and one hand. It�s compact and light and takes up very little room. The swivel front wheel allows you to go almost anywhere. 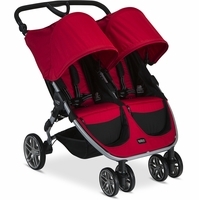 Like all Britax strollers, the B Agile is part of a travel system. But this goes one further: the stroller is also compatible with other major car seat brands with an adapter. 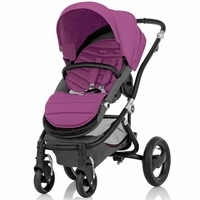 For the style-conscious family, Britax Affinity strollers are the epitome of high function meeting high fashion. Incredibly customizable, these strollers come in 10 different fabric and frame combinations, allowing you to pick just the right look. The superior ergonomic design allows baby to be facing you or facing out, and the Affinity also accommodates a bassinet, making it a cozy and stylish option for baby from day one. 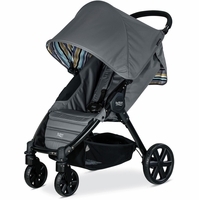 Versatility is the name of the game with Britax B Ready strollers. True to their name, they�re ready for anything. 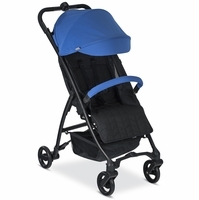 With 14 different seating options when combined with another second seat, there�s almost nothing this stroller can�t do. For your infant, the B Ready fits a car seat or bassinet, and when your family grows, it can grow with you by simply adding a second seat. With hassle-free foam-filed tires and durable suspension, your little ones will ride in style, safety, and comfort. Britax believes that families should be free to make the most of every moment with their children, and as a company, it sees itself as responsible for making that a reality. 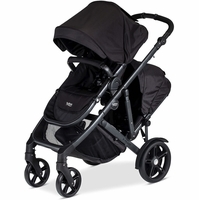 With their strollers, you�ll be ready to head out, knowing your unique needs as a family are being met. When parents know that their children are safe and secure� not just �good enough,� but far beyond that to a place of superior protection in transport � then a world of freedom and possibility open up to begin exploring the world together.